"It's time to find out what the truth really is that's out there (on government investigation of UFO's)... we ought to do it really because it is right, we ought to do it because the American people, quite frankly, can handle the truth, and we ought to do it because it's the law." 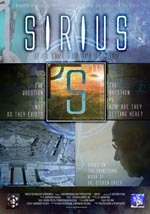 Read our review of the film, "Avatar"
Dr. Steven Greer's New Documentary Film "Sirius"
Do Moscow UFOs fulfill NORAD officer predictions? David Wilcock: Disclosure, "The Event" and China's "October Surprise"
War for Disclosure Goes Red Hot! Richard Hoagland: For the World is Hollow ...and I have Touched the Sky! Will extraterrestrial “disclosure” or contact happen in 2012? 2012: Cataclysmic breakdown or Y2K makeover? ET/UFO contact? DNA/Consciousness transformation? Are nuclear arms reductions linked to Russia’s Pyramid UFO? Is AVATAR a virtual extraterrestrial disclosure and exopolitical experience? Will it change Obama? Richard Hoagland's A "Nobel Torsion Message" Over Norway? : A "Hyperdimensional Weapon's" Demo ... for Obama? Massive new David Wilcock update released, "Disclosure Updates and Transcript of Coast Announcement, 10/6!" Read out Blog post, "Separated At Birth – Balloon Boy, V and Mr. Spock! – Is this all a case for ET disclosure? 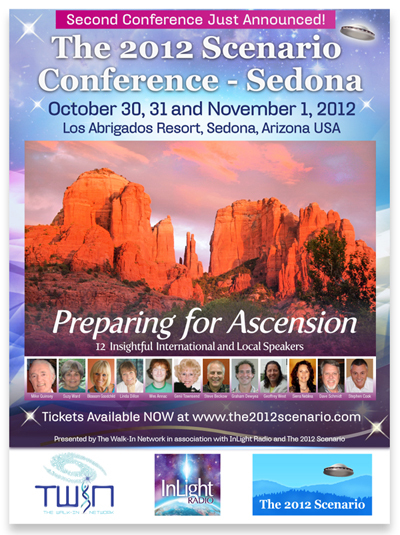 UFO Crash Conference 2009 will be featuring Stephen Bassett, Dr. Michael Salla, Linda Moulton Howe and others from November 6-8, 2009. Do You Believe That UFO/ET Disclosure Is Imminent? David Wilcock gave yet more updates on the Coast to Coast AM radio show for Tuesday, October 6, 2009. Check out our David Wilcock Radio Interviews section for a report on this show. Below you will find a wide assortment of very important and compelling disclosure related videos in chronological order. By viewing these videos, you will be able to get a very thorough understanding of the current state of the disclosure movement and an introduction to some of the key players who are working hard to bring it to a public unveiling. These are just a few of the key videos worth viewing and more will be added as developments unfold. Also see page 5 for yet more disclosure related videos. "Challenges of Change" is indeed a challenge. This book provides a compelling perspective of world events as seen through the eyes of the author, and a group of ethereal entities known as the Transcendors. It takes the reader through important events in world history with dramatic reports on alien intervention with mankind. Light Spiral Sighting In Australia 7 News | June 5, 2010 | Time: 1:41 mins. Yet another blue spiral light is spotted, this time in the skies over Australia on June 5, 2010 that looks remarkedly similar to the one seen in Norway in November 2009. "The Day Before Disclosure" documentary film trailer | May 2010 | New Paradigm Films | Time 5:35 mins. Extraordinary documentary of the history of the UFO phenomenon going all the way back to Roswell, New Mexico, through the 1950's to the present day scenario including great reports from Europe. Many of the top researchers in the UFO fields are interviewed including: Linda Molton, Howe, Stephen Bassett, Dr. Steven Greer, Edgar Mitchell, Bob Dean, Richard Dolan, Nick Pope and Dr. Michael Salla. Highly recommended! Visit the New Paradigms web site for other great films on crop circles and free energy. Former New Hampshire State Representative, Henry W. McElroy, says he saw official documents that stated that extraterrestrials were present in the United States, they were benevolent, and a meeting could be arranged for President Dwight D. Eisenhower. if he so desired. A Russian MP has asked President Dmitry Medvedev to investigate claims by a regional president that he has met aliens on board a spaceship. Kirsan Ilyumzhinov, the leader of the southern region of Kalmykia, made his claim in a television interview. Disclosure | May 2010 | Time 11:14 mins. A short documentary promo highlighting the efforts of Steven Greer and the Disclosure Project to convince officials to disclose the truth about extra-terrestrials and technology we have back-engineered from their craft. Disclosure from Craig Ormiston on Vimeo. "Bob Dean | Bringing in the Light" | Project Camelot interview | Released April 2010 | Interview filmed in February 2010 | Time: 1 hr. 26 mins. Fantastic new information from Bob Dean in an exclusive interview with Kerry Cassidy of Project Camelot. Mr. Dean reveals some of his most secretive information to date. Excellent video of the latest UFO news for 2010 featuring Dr. Steven Greer along with many other military, government and corporate whistleblowers from the 2010 Disclosure Project Press Conference. Highly recommended! In Part One, Dr. Greer discusses sending a briefing to President Obama, his multiple successful contact protocols with ETs, and the work his team has carried out despite several members being murdered. He warns of the dangers of non-disclosure, as well as the weaponizing of space to keep us at perpetual war against "galactic enemies." Amazing footage caught by an amateur videographer of two military jets in hot pursuit of a massive UFO over the skies in England. Very brief video of this amazingly large pyramid shaped video seen over Moscow, Russia, one day prior to Barrack Obama receiving the Nobel Peace Prize in Oslo, Norway. With President Barrack Obama in the same country, Norway, at the very same time, December 9, 2009, the day before he is to receive the Noble Peace Prize in Oslo, this strange anomaly appears in the Norwegian skyline. Dr. Michael Salla's compelling presentation on John F. Kennedy and his battles with MJ-12, the CIA and his secret deal with Nikita Khrushchev, and much more!